Numbers refer to number of teeth on top and bottom blades. The 31-15 blade is the standard horse blade set and also for a clean cattle coat. 2 - 4mm cover. 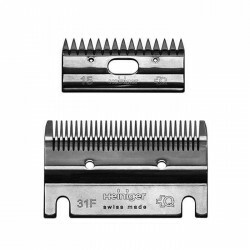 These blades also fit most similar clipper brands. Impact resistant plastic combs with stainless steel posi-grip blade clamp. 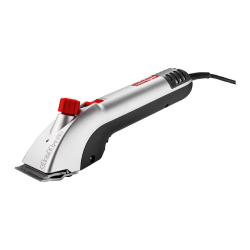 Rocker-bottom combs allow..
10.8V Cordless horse and cattle clipper - smooth and powerful clipping! The Heiniger 10.8-volt cord.. 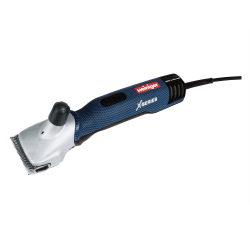 The only horse clipper on the market with 3 clipping speeds, allowing a simple and easy professional..
Quiet running clipper with a strong 80 watt permanent magnet motor with considerable torque.The Hein.. 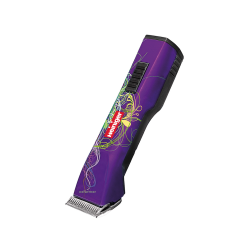 The versatile A5 clipper that can clip, trim & groom just about anything! 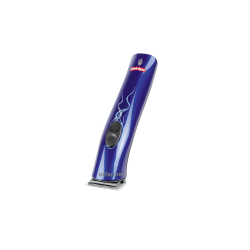 The Saphir Style is an A5..
Xperience smooth and powerful clipping! All NEW ergonomically shaped slim grip, soft feel b.. Numbers refer to number of teeth on top and bottom blades. The 31F-15 blade is a fine horse blade s.. Numbers refer to number of teeth on top and bottom blades. The 35-17 blade is for horse and cow sty.. Numbers refer to number of teeth on top and bottom blades. The 35F-17 blade is a set for horse and .. 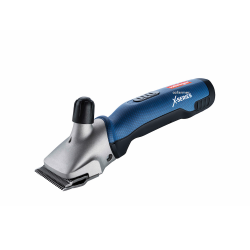 Specifically designed to clip & style around sensitive areas Lightweight, cordless and very..